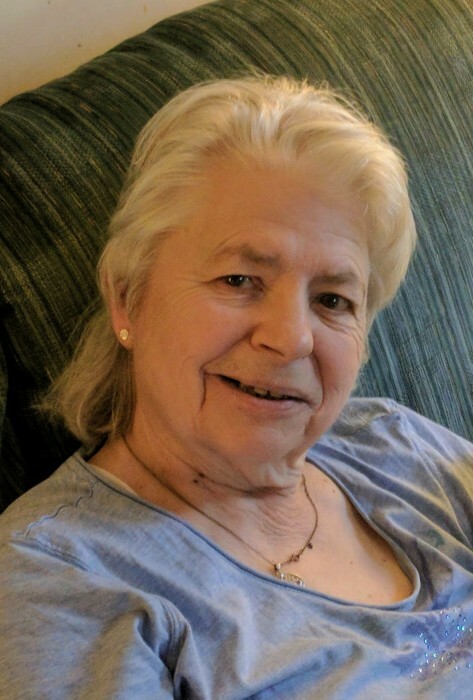 Barbara Ann Bourgault (DelGaizo), age 69, passed away on March 18, 2018 after valiant battle with heart disease. She grew up in Arlington, and lived there almost all her life. Barbara always enjoyed talking about her memories of growing up with her brother, Gene. She attended and graduated Arlington High School where she was the class of 1966. It was in high school that she met her future husband, Bill Bourgault. They fell in love and got married shortly after graduating. Although they didn't have a lot of money, they always found ways to enjoy their time together. This October will mark their 49th year of marriage. After high school, Barbara received her Nurses Aid certificate and began a job with the Holy Ghost in Cambridge where she worked for a number of years. She later worked at the Jesse McDougall nursing home. Later in her life, she took on a job as a lunchroom mother at the Pierce School in Arlington. Known as "Mrs. B", she cared deeply to all the students that entered the cafeteria. She was always willing to listen, offer a hug and provide everyone with a friendly face. She enjoyed going into work everyday. Barbara's greatest joy was becoming a mother to three children, Kimberly, Laurie and Billy Jr (B.J). She was always cheering the loudest at the sidelines at all of their school or sporting events. Barbara was always there to offer advice, guidance, understanding and humor. Her silly text messages and her shaped pancakes will be truely missed. In 2014, she got a gift that she wanted for several years, She became a Nana. Her granddaughter was born and it was instant love between the two. A few years later her grandson Jacob was born. Barbara felt truly blessed. They were her little "darlings" and she was never shy about bragging about them. Barbara never judged or looked down at anyone she met. She always remained open minded and open to new ideas. She saw goodness in everyone she met. Barbara will be missed by all those who were lucky enough to know her. She is survived by her beloved husband Bill A. Bourgault. Her children Kimberly Locke, Laurie Lorgeree and her husband David and William "BJ" Bourgault. Her grandchildren Jenna and Jacob Lorgeree. Also survived by her brother Eugene Del Gaizo and his wife Susan and several nieces and nephews.